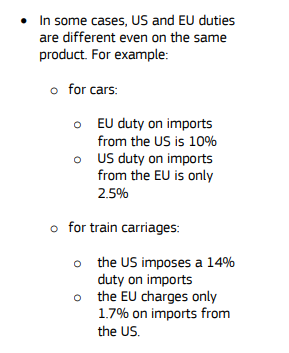 Added together and compared with total trade figures the tariff cost is marginal. The trade war is more show than reality and designed to impress President Trump Rust Belt support base. Trump woos his Rust Belt support base while selling them down the river. With every nation shooting at other nations and at its own people, how do you “win” a trade war? You don’t. All trade wars are lost because the cost base is made higher. Each nation has higher internal nominal costs and receives less real benefits in the form of goods and services. 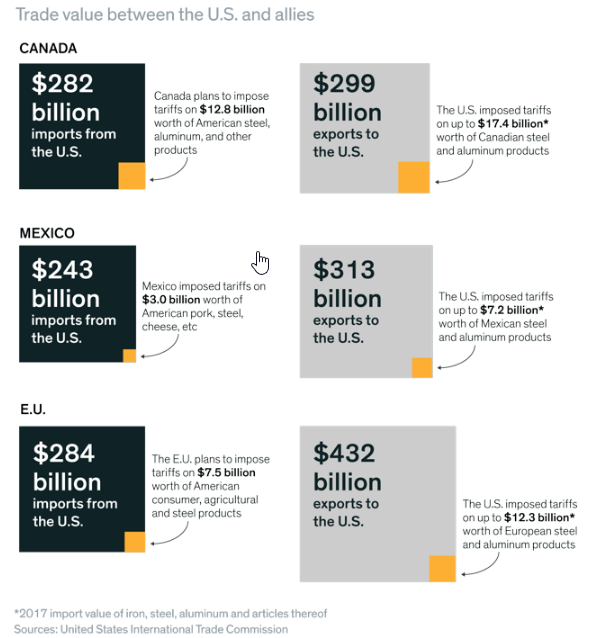 The table above shows that US consumers will pay an additional $86.9B when they purchase imported goods with a new tariff on them. This is $86.9B that cannot be spent on other goods and services and has increased the cost of existing goods and services and is therefore inflationary. $86.9B is almost 0.5% of GDP and might give the Federal Reserve cause to make a rate increase to stave off this inflationary effect. Then everyone pays more for credit as well.